The hotel will be completing guest room renovation updates starting November 7 through February 28- 2017. We appreciate your patience as we improve our hotel This hotel is 100pct non-smoking The Homewood Suites by Hilton Houston-Willowbrook Mall hotel is an upscale extended stay hotel uniquely located in northwest Houston Texas. We are only minutes away from several major corporations including the Hewlett Packard Houston campus and within walking distance to over 15 nationally known restaurants. While a guest of the Homewood Suites by Hilton Houston-Willowbrook Mall hotel you will enjoy your choice of a spacious one or two bedroom suite along with our complimentary Suite Start daily hot breakfast. Monday through Thursday we also offer our famous Welcome Home reception - a complimentary dinner served with free beer and wine. 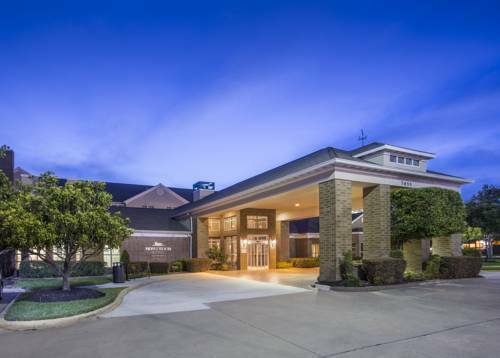 This Houston Texas Homewood Suites hotel also features an indoor pool and spa complimentary wireless high-speed Internet access an on-site fitness center on-site sport court on-site convenience store and a complimentary grocery shopping service. The Homewood Suites by Hilton Houston-Willowbrook Mall hotel shares parking spaces with the Willowbrook Mall and commons home to over 150 retail outlets. Make Yourself At Home. all reservations must be guaranteed with major credit card or advance cash deposit to hotel regardless of time of arrival. all reservations must be cancelled by 6pm host time unless deposit required. Policy subject to change. Casual pub atmosphere with full dining menu featuring American favorites and hearty English pub fare. Legendary buffalo wings in a mind numbing assortment of flavors. Great bar with excellent sports coverage. One of Houston*s premiere upscale steak houses. Prime beef succulent seafood impeccable service. Home of the world famous **Seven finger pork chop**. A must-try if price is no option. Family dining. all you can eat soups salads pastas and fresh bakery. Excellent option for health conscious diners vegetarians or anyone looking for something on the lighter side. Great value. Family dining. Infamous Tex-Mex from the legendary Pappas family. This is a must visit and the restaurant we are asked about more than any other. No trip to Houston is complete without a meal at Pappasito*s.
Awesome Cajun-style seafood. Another hit from the Pappas family. Texas style steak house. Excellent steaks with a Texas accent.